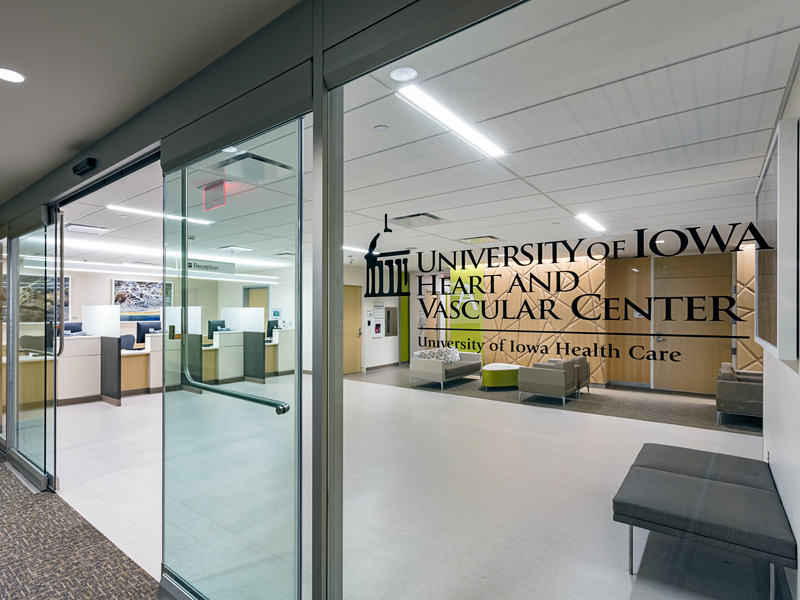 City Construction was selected to renovate 30,000 sq ft of the Heart and Vascular Center and the new clinical space will be devoted to cardiology functions. 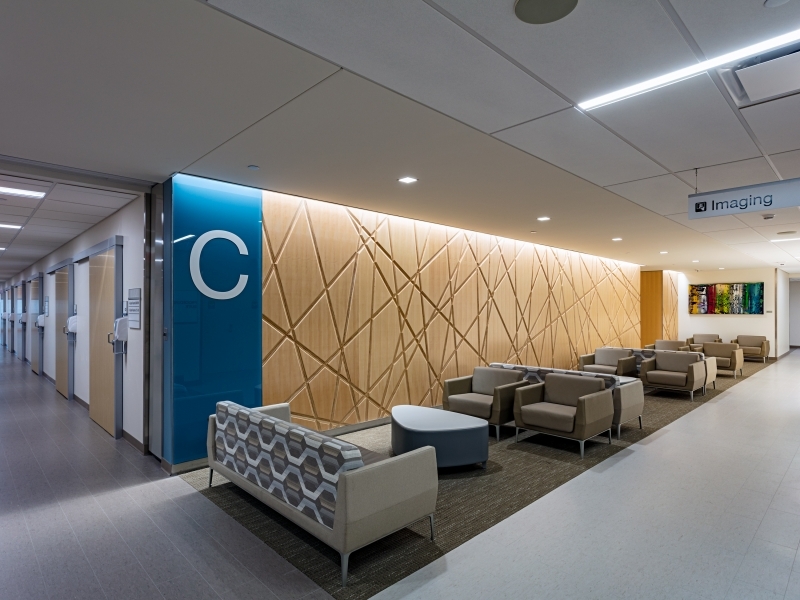 During phase one, City Construction built a corridor to the new Children’s Hospital, which split the project into two different areas. Careful phasing of work was performed to keep on schedule. 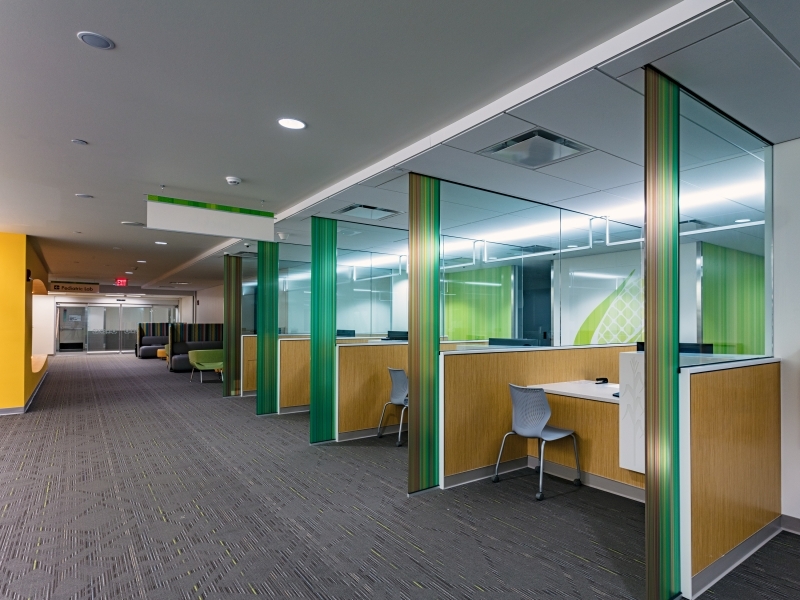 The project scope included walls, doors, casework, HVAC, telecom and sprinklers. 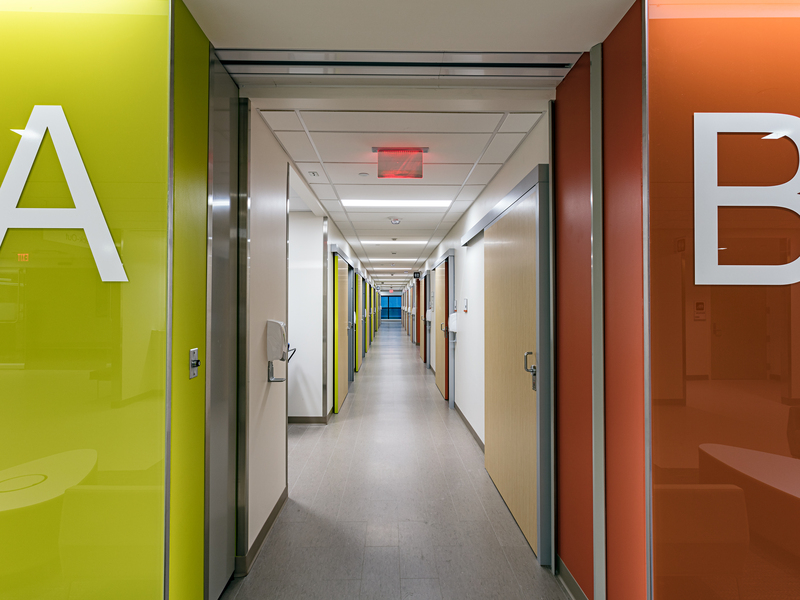 Three pods consisting of patient exam rooms surround a central team space. 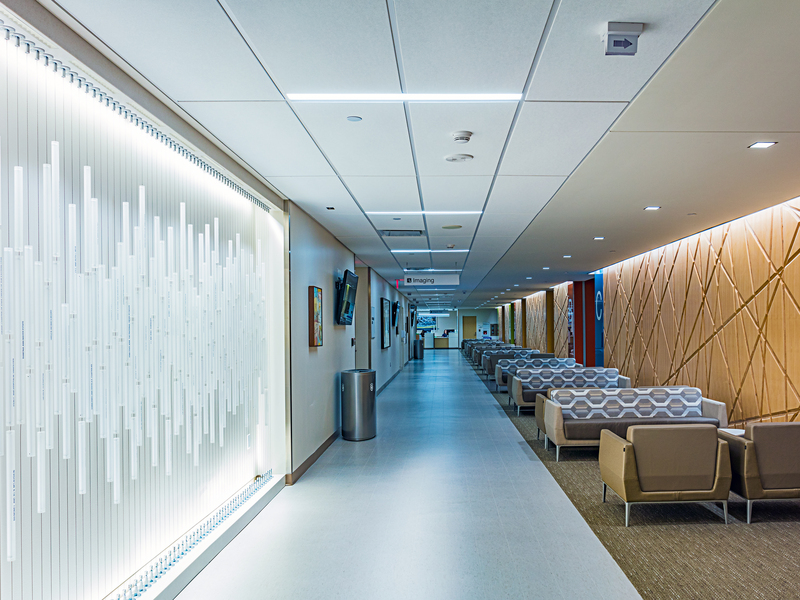 The lobby, a fast-track area for quick tests, a stress testing space and a procedure suite help round out the north area. 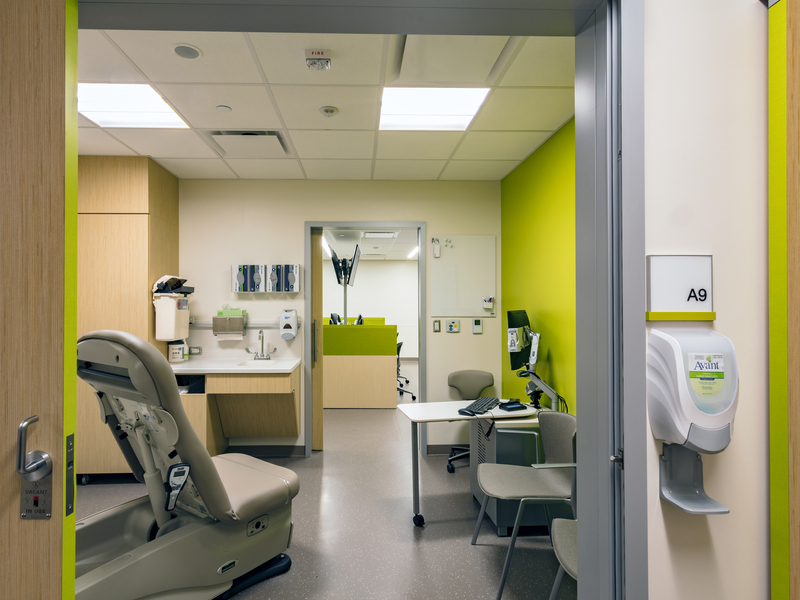 To the south of the corridor are staff offices and a common conference room well suited for doctor-patient discussion. I want to pass along my gratitude to City and their team for your hard work on the Heart & Vascular Project. 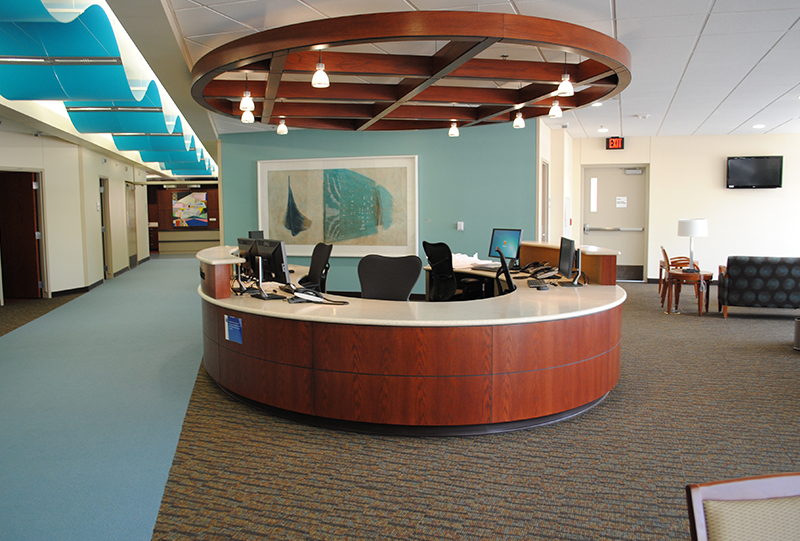 We are in day two of occupancy and staff/patients are loving the new space. This would not have been possible without the dedication and commitment we saw from your team; we owe much of this great success to them and their ability to lead throughout the project. I am deeply thankful for your efforts and look forward to working with you all again in the future. I’ve heard from numerous people that they have never seen a project run this smooth through construction and result in such a high standard of quality; I couldn’t agree more. It is one of our finest clinics and the pride of each craftsperson shines through in every detail…it is a space we can all be extremely proud of. Looking forward to working through closeout and getting to the finish line!